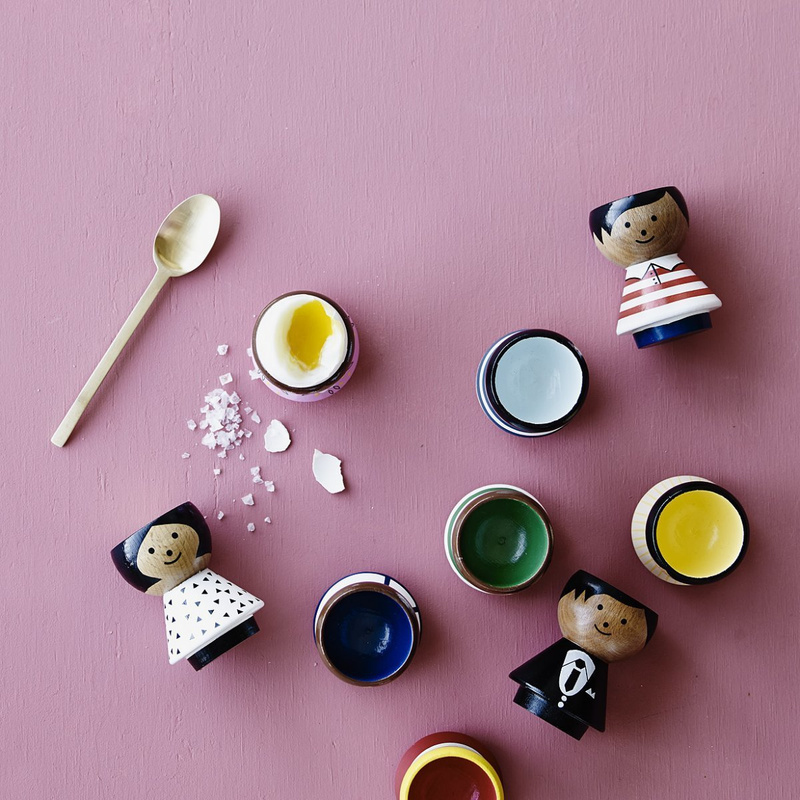 Boy Stripes egg cup is a charming wood object designed by the Lucie Kaas brand, a simple article that's still extremely original. 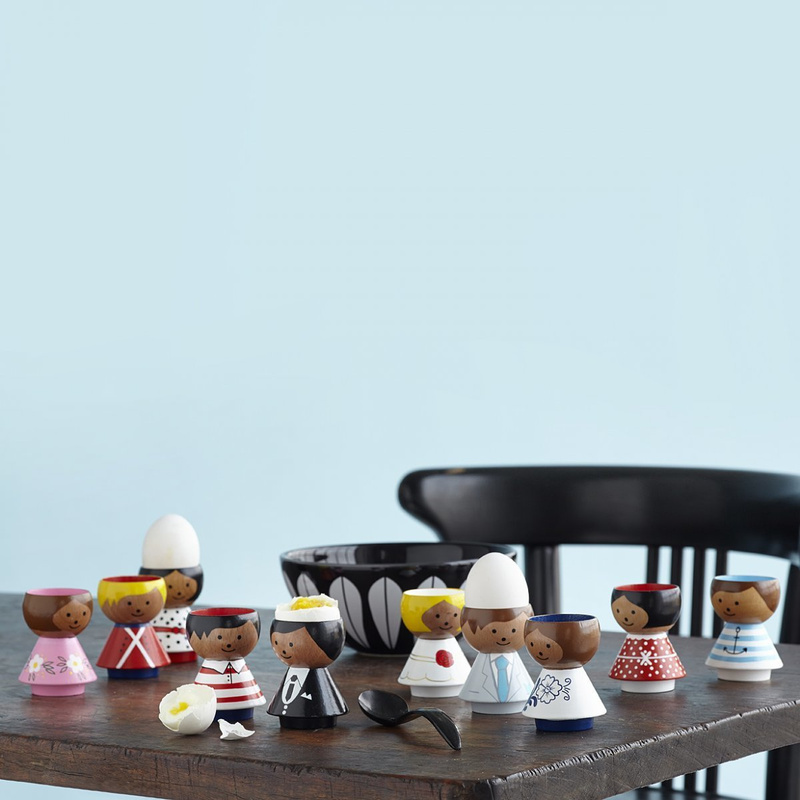 Lucie Kaas, a Danish brand that, in just a few years, became very well-known and appreciated throughout the continent, has dedicated an entire collection to egg cups. 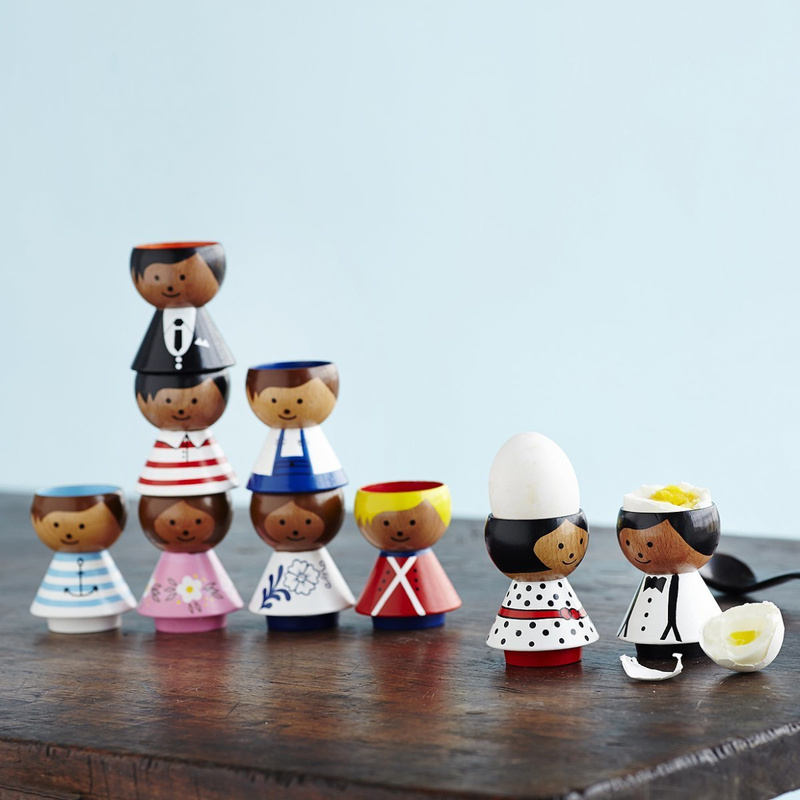 The modernity of today's kitchens has made egg cups almost obsolete, but their style is so pleasant and highly decorative that Lucie Kaas just had to make them: The company's Creative Director, Esben Gravlev Rasmussen, had the idea to transform the egg cups into lots of cute characters. 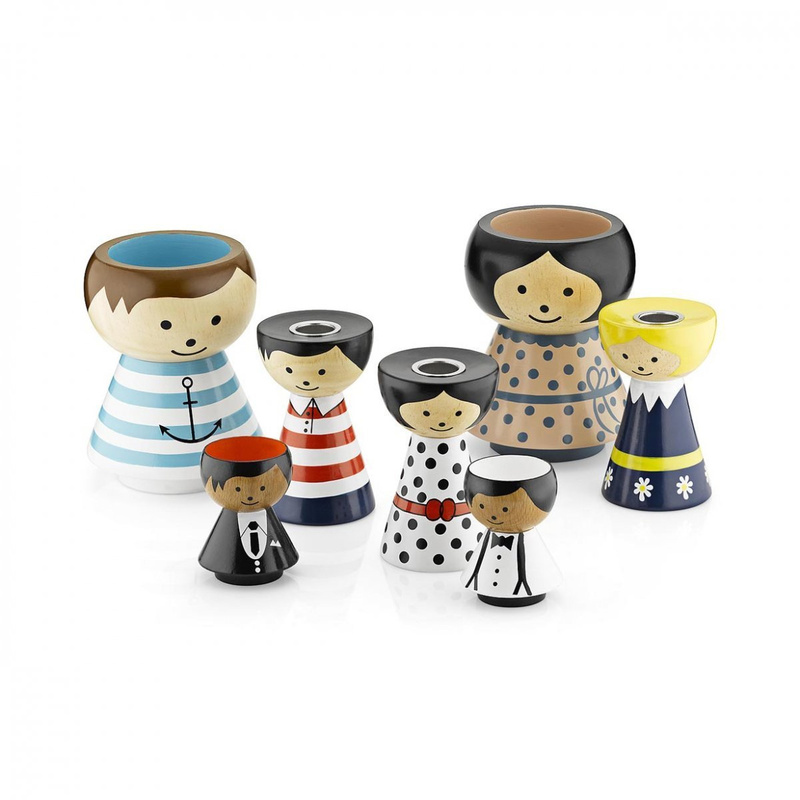 Boy Stripes egg cup, for example, is an egg cup depicting a nice black-haired boy with suspenders, a bow tie and sweater with horizontal white and blue stripes. 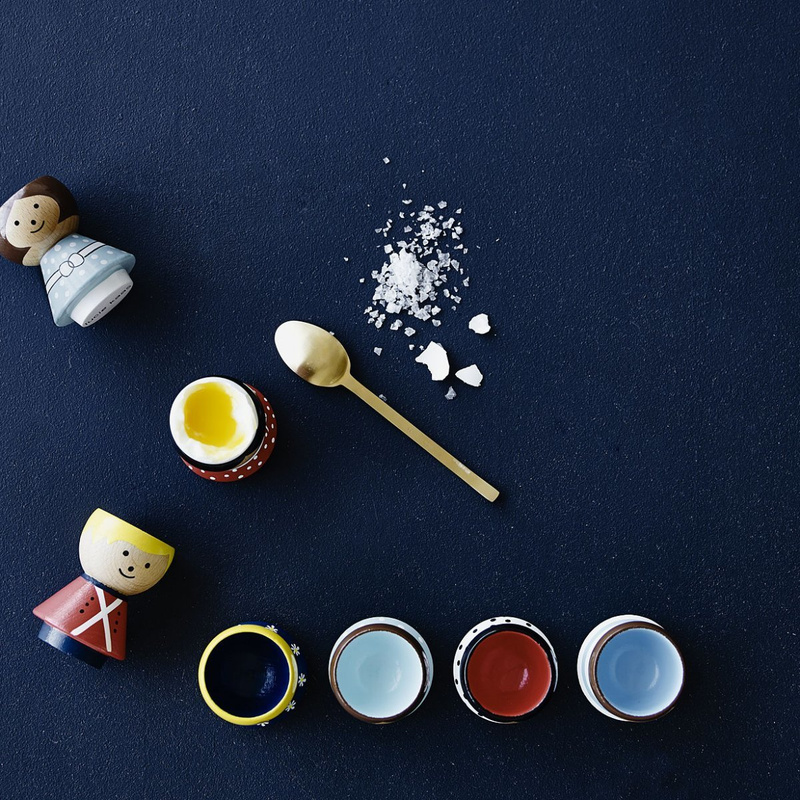 This article's originality is obvious at the first glance, but when you place an egg on this little man's head, the style becomes all the more comical! 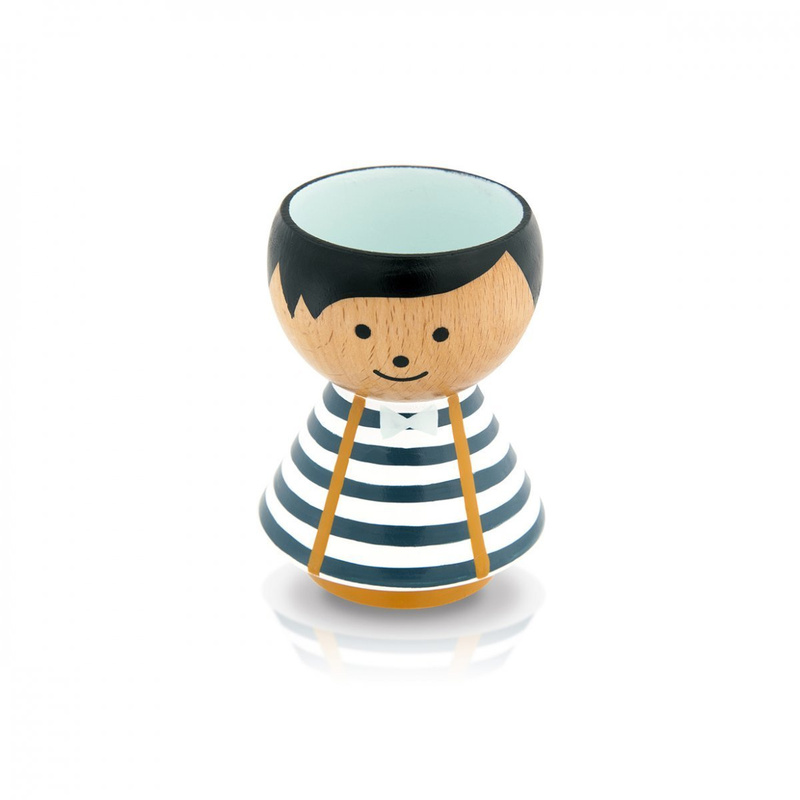 This unusual little brightly-coloured wood man will bring a smile to a child's face, so it can be a nice idea to place it in a girl's or body's bedroom, perhaps on the shelf. 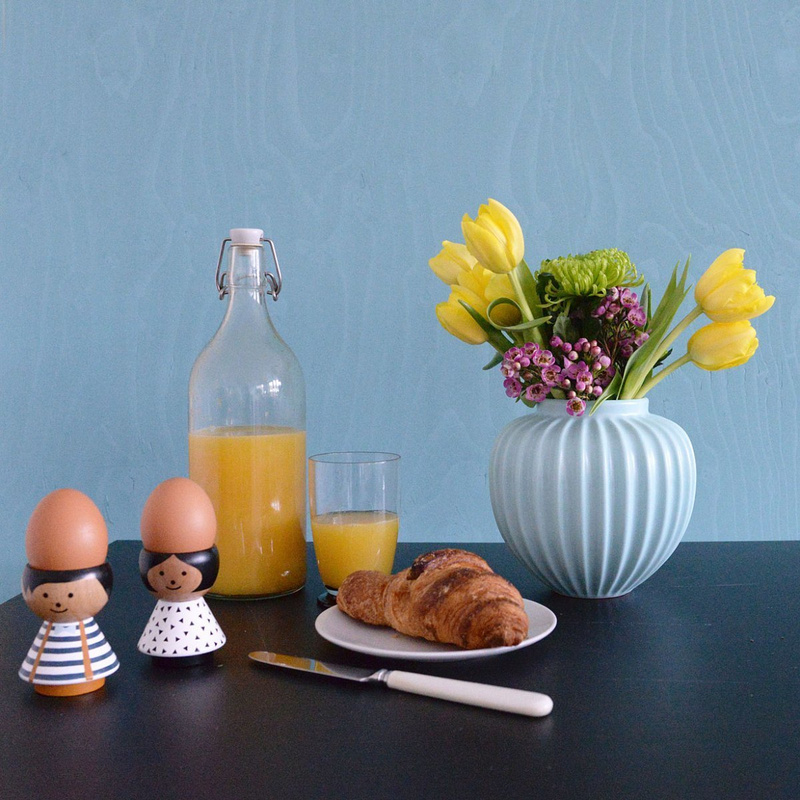 As mentioned, Lucie Kaas has created may different egg cups, so it's a really cute idea to pair the Boy Stripes egg cup to other colourful characters from the collection. 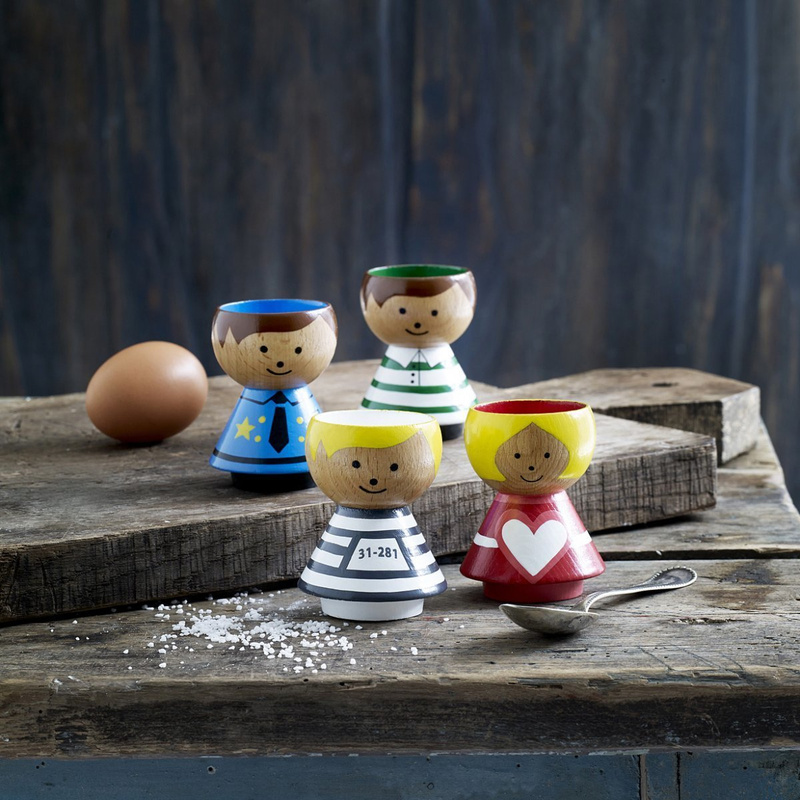 Boy Stripes egg holder can also be a wonderful gift idea: a simple object, informal, conveying friendliness and tenderness!